Avendus Capital advises MphasiS Ltd on its acquisition of Digital Risk LLC. 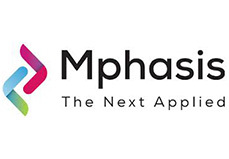 MphasiS has signed an agreement to acquire Digital Risk, one of the largest independent providers of Risk, Compliance and Transaction Management solutions to the United States mortgage market for a total purchase consideration of upto USD 202 Million. Digital Risk provides highly specialized Risk, Compliance and Transaction Management solutions for the mortgage industry. Digital Risk’s proprietary Making Mortgages Safe™ solutions suite is deployed by over 15 blue chip clients across key mortgage constituencies – Originators, Insurers, Issuers and Investors. Digital Risk is licensed to operate in 46 states in the United States. In August 2012, Digital Risk was named as one of America’s entrepreneurial growth leaders by Inc. Magazine. Digital Risk ranked number 11 among the fastest growing private financial services companies in the US, in 2012 Inc. 500 list. Digital Risk is expected to register revenues of USD 127 million in CY2012. The company has grown at revenue CAGR of 70% in the last 3 years. “We are pleased to have partnered with MphasiS on their ‘Hyper-Specialization’ journey in the Banking and Capital Markets space. The US mortgage industry is witnessing a strong rebound from a historic low and is expected to return to its last 20 year average within the next 4-5 years. Digital Risk’s leadership and IP, especially in the Mortgage Analytics area, would significantly enhance MphasiS' offering in this large and growing market segment”, said Mr. Amit Singh, Executive Director, Head Technology and Cohead Outsourcing at Avendus Capital Pvt Ltd. “This is our 34th IT/BPO deal in the last 5 years, and we continue to invest and build global capabilities in this sector”. Mr. Puneet Shivam, Head, Avendus Capital, Inc, said “The US mortgage industry is poised for significant changes which offer attractive opportunities to players servicing this space. It also further deepens Avendus' growing capabilities in the US IT and Business Services segments”. Completion of the acquisition is subject to customary closing conditions and regulatory approvals and is expected to close by 31st January 2013. Avendus Capital Pvt Ltd acted as the exclusive financial advisor to MphasiS Ltd on this transaction. MphasiS (an HP Company) is a USD 1 billion global service provider, delivering technology based solutions to clients across the world. The company services clients in a variety of industries, including Banking and Capital Markets, Insurance, Manufacturing and Communications. MphasiS' integrated service offerings in Applications, Infrastructure Services, and Business Process Outsourcing help organizations adapt to changing market conditions and derive maximum value from IT investments. Digital Risk is one of the largest providers of mortgage risk and compliance management solutions. The company provides buyers and sellers of mortgages and mortgage backed securities the analytical, technological and risk management services they need to achieve their goals. The Digital Risk platform delivers transparency at the loan level and precise risk assessment throughout the entire mortgage value chain. With over 1,500 U.S. based professionals, the company counts the nation's leading servicers, originators, aggregators and investors among its clients. Digital Risk is independent and not affiliated with any originator, issuer, servicer or investor. Headquartered in Orlando, Digital Risk has additional operations in New York, Dallas, Denver, Chicago, Boca Raton, Tampa and Jacksonville. Avendus Capital is a leading financial services firm which provides customised solutions in the areas of financial advisory, equity capital markets, alternative asset management and wealth management. The firm relies on its extensive track record, in-depth domain understanding and knowledge of the economic and regulatory environment, to offer research based solutions to its clients that include institutional investors, corporations and high net worth individuals/families. In recent years, Avendus Capital has consistently been ranked among the top-five corporate finance advisors in India and has emerged as the advisor of choice for cross-border M&A deals and has closed 40 cross-border transactions in the past 4 years. Avendus Securities through its Institutional Equities practice is able to offer high quality researchdriven advice to help its clients take investment decisions, while Avendus PE Investment Advisors manages funds raised from its investors by investing in public markets. Headquartered in Mumbai, the firm has offices in New Delhi and Bangalore. Avendus Capital, Inc (US) and Avendus Capital (UK) Pvt. Ltd. located in New York and London respectively are wholly owned subsidiaries offering M&A and Private Equity syndication services to clients in the respective regions.